LykiaLinks Golf, is Located directly by the sea, and is one of the very special golf courses known as a "Links Course", one which takes advantage of nature's landscape and is adjacent to the sea. Being one of the 300 links courses of 36.000 golf courses worldwide, its an honour and a real first for Turkish Golf. The course belonging to the Lykia World Hotel, is an 18 hole links and 9 hole academy course, located on a 1 million m2 area of land that creates a true golfing experience not to be missed. A cool Mediterranean breeze will provide you with a pleasant oasis from the heat of the sun that no other course in the belek area can offer. Rates as one of the top 100 golf courses in Europe, LykiaLinks Antalya makes full use the natural landscape and texure of its stunning seaside location. Everything is available at LykiaLinks Antalya to make you a golf star. 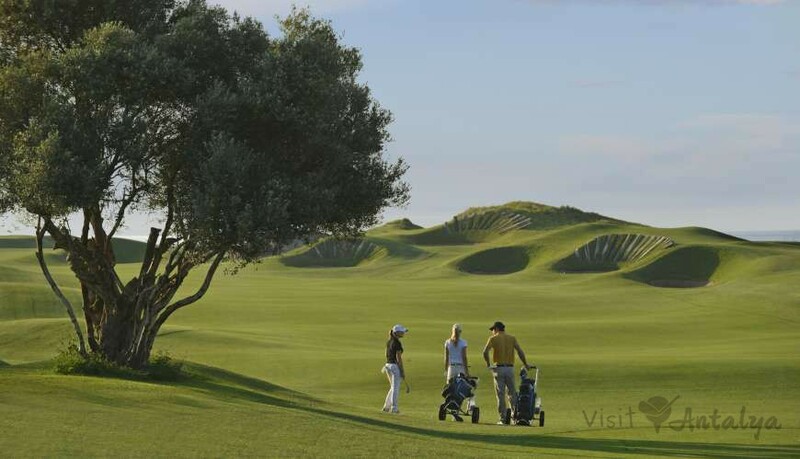 Test your skills on the four holes situated inside the sand dunes along the shoreline. Do battle with the dominating sea breeze and the small green inside the 17th hole or defy the stadium-style finish of the turtle back green at the 18th hole. Requiring Scottish links course style ‘punch and run’ shots, the patterned fairways of this competitive environment get their inspiration from the famous couses of Scotland which host the British Open tournaments. A series of pot bunkers protect the greens and make it necessary to change location on the fairway. 16.09 - 02.10 The course is closed due to overseeding. 03.10 - 10.10 The course is open but no buggy allowed. designer Dye Designs, Perry O. Dye, A.S.G.C.A.